In January, Cell Press will take over from Oxford University Press as publisher of Molecular Plant, an international society journal that publishes important advances in plant biology. The journal is led by a global team of academic editors, with the editor-in-chief and executive editor in California, supported by an international editorial board and a group of professional editors in Shanghai. Molecular Plant will be the 31st journal published by Cell Press and its fourth society journal. Molecular Plant was launched in 2008 under the auspices of the Chinese Academy of Sciences, the Shanghai Institutes of Biological Sciences and the Chinese Society of Plant Biology. It has quickly grown in size and impact, moving from bi-monthly to monthly, with its Impact Factor climbing from 2.784 in 2009 to 6.126 in 2012. With an international editorial board, authorship and readership, it is a global journal highlighting the growing societal impact of advances in plant science. 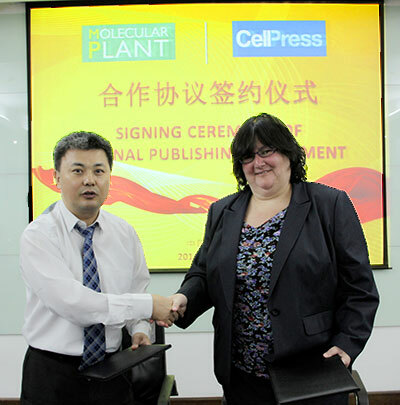 In partnership with Cell Press, Molecular Plant will continue to publish papers that represent a broad range of topics affecting the plant biology field – including cellular biology, physiology, biochemistry, molecular biology, genetics, and molecular evolution among others. These topics represent the diversity of research stemming from plant biologists. While Cell Press currently publishes a review journal focused on plant sciences (Trends in Plant Science), we do not publish a research journal that focuses exclusively on plant sciences. Publishing research articles in Molecular Plant will thus deepen our understanding of the work being done in the plant research field. In six years, Molecular Plant has proven itself as a fast-rising star in the field of plant sciences, making it a natural springboard for us to publish our first research journal focused on plant sciences. Our partnership with Molecular Plant is also an important first step in working more closely with the research community in China to accelerate discovery and translation of basic knowledge, foster innovation-driven science, promote rigorous research, and increase the standard and global visibility of publications from China. China is becoming a leading player in the science world, second only to the United States in the number of research articles published. We look forward to collaborating with our colleagues and peers there to increase the international outreach and impact of homegrown science and technology journals in China. At a dinner with the journal's senior editors, Co-Editor-in-Chief Dr. Sheng Luan said the rapid success of the journal derives from the passion and dedication of the founding editors and editorial board: "Everyone on the board treats it as their baby and is willing to pull out all the stops to make sure it succeeds." At the signing ceremony, representatives from the Shanghai Institutes for Biological Sciences, the Chinese Society of Plant Biology, and the Molecular Plant editorial team gave presentations. Common themes were the globalization of high-impact science; the societal importance of advances in plant science, especially in China; the opportunities this partnership provides for Molecular Plant and Cell Press as well as for the global scientific community, and the shared editorial values of the journals. 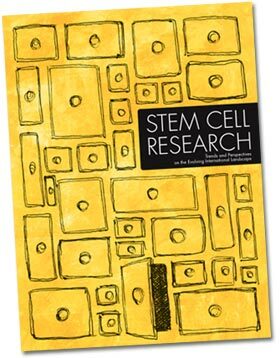 As CEO of Cell Press, Emilie Marcus manages Cell Press's expanded portfolio of journals, conferences, and online tools for biomedical researchers. 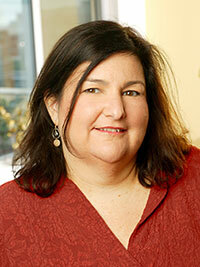 She has also launched creative new initiatives such as Cell Reports – the first "author-pays" open access Cell Press title – and the original Article of the Future online format. As the Editor of Cell, she is charged with crafting an editorial vision for one of the world's leading biomedical research journals. 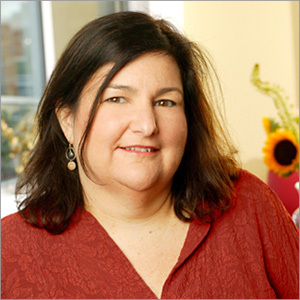 She came to the position in 2003 after five years on the editorial team of Neuron and a successful graduate and postdoctoral research career, first at Yale University, where she received her PhD in biology/neuroscience, and then at the Salk Institute. 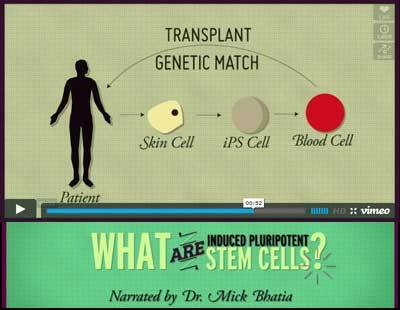 1-minute animation: What are induced pluripotent stem cells? CEO: Is the gender gap a gender issue?